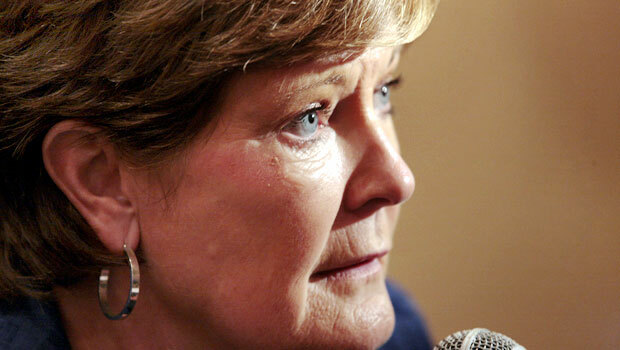 (AP) KNOXVILLE, Tenn. - Pat Summitt is stepping aside as Tennessee's women's basketball coach and taking the title of "head coach emeritus" with long-time assistant Holly Warlick being promoted to replace the sport's winningest coach. Tennessee released a statement Wednesday announcing the move. The 59-year-old Summitt will report to the athletic director and help the women's program she guided to eight national titles. She says she supports Warlick, her assistant for 27 years and a three-time All-American playing for Summitt, as her replacement and wants to ensure the stability of the program. The move comes less than a year after her diagnosis with early onset dementia-Alzheimer's type. "I've loved being the head coach at Tennessee for 38 years, but I recognize that the time has come to move into the future and to step into a new role," said Summitt. "I want to help ensure the stability of the program going forward. I would like to emphasize that I fully intend to continue working as head coach emeritus, mentoring and teaching life skills to our players, and I will continue my active role as a spokesperson in the fight against Alzheimer's through the Pat Summitt Foundation Fund. Summitt revealed her diagnosis on Aug. 23 after a few months of trying coming to terms with dementia, which had caused her problems with memory loss both on and off the court during the previous season. Alzheimer's is a brain disease that destroys cognitive abilities over time. But with a need to devote more attention to managing her health, Summitt handed over more duties to her longtime assistants. This season, Warlick as associate head coach took the lead during games and handles postgame interviews, while the entire staff has done the bulk of the recruiting and management of practices. Even with Warlick and assistant coaches Mickie DeMoss and Dean Lockwood carrying a larger load, Summitt continued to leave her mark through guidance and motivation with her trademark icy stare, even if she did wear the look more infrequently. Summitt's diagnosis came during one of the Lady Vols' most disappointing stretches  by Summitt's lofty standards, anyway. Tennessee hasn't won a national championship since 2008 and hasn't even reached the Final Four, which ties for their longest such drought in program history. Tennessee's five seniors were a part of the team that lost in the first round of the 2009 NCAA tournament, the only time in school history the Lady Vols had bowed out on the first weekend. Those seniors promised they would win a ninth national championship this season not just to change their legacy and to honor Summitt, but as center Vicki Baugh put it, "We're playing for everyone who has Alzheimer's." They just couldn't get back to the Final Four, and the group of seniors wound up the first Lady Vols to miss the Final Four. They lost to eventual champion Baylor and Brittney Griner, a player Summitt couldn't convince to come to Knoxville, in the regional final. It's unlikely anyone will ever come close to matching Summitt's accomplishments in women's basketball, which has seen more parity in the past decade. Summitt's career ends with a 1,098-207 record, 16 regular season Southeastern Conference championships and 16 SEC tournament titles. She also led the 1984 Olympic team to a gold medal. During her time, Tennessee never failed to reach the NCAA tournament, never received a seed lower than No. 5 and reached 18 Final Fours. Her impact reaches beyond wins and losses. Every Lady Vol player who has completed her eligibility at Tennessee has graduated, and 74 former players, assistants, graduate assistants, team managers and directors of basketball operations are currently among the coaching ranks at every level of basketball.